Hanlon Electric Company is the forward-thinking, full-service electrical contractor that proactively minimizes downtime, and maximizes future-friendly electrical efficiencies. Large, Medium or Small…Hanlon handles it all! Hanlon Electric Company is a full-service electrical contractor providing service and maintenance, infrared and power quality testing, new construction, construction renovations, design/build construction as well as data and communication cabling and testing. Hanlon Electric specializes in servicing the following industry segments: Commercial/Industrial Construction; Telecommunications, Schools, Universities, Colleges, Theaters and Public Institutions; Hospital and Medical, and Marcellus and Emerging Energy Companies. Our professional staff will provide the highest quality services through all phases of construction. We maintain an in-house design department using the latest CAD/BIM technologies to coordinate work with other trades, detail work to ensure accurate construction, and where required, can provide electronic, as-built drawings of our work. Our office and field management are all equipped with laptop computers, which utilize the latest technology to track and maintain project progress. 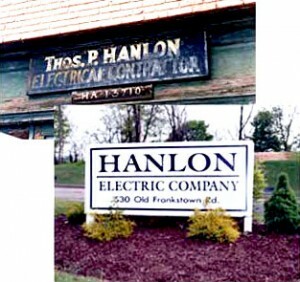 The Hanlon Electric Company was founded in 1930 by Thomas P. Hanlon. At that time, the company performed mainly small commercial and residential electrical installation and maintenance. In 1956 the company was incorporated as the Hanlon Electric Company. 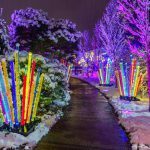 For more than 80 years, the Hanlon Electric Company has been known for its high level of service and customer satisfaction. By primarily servicing the Pittsburgh area, our management team is able to work closely with our project teams to assure our customers the highest quality and workmanship. As Hanlon Electric has grown, its management and employees have fostered the ideals of its founder Thomas P. Hanlon, Sr.: PROVIDE QUALITY WORK AT A FAIR PRICE. Hanlon Electric is constantly evaluating new techniques and technologies to ensure that all Hanlon customers are getting the best possible job for the best price.